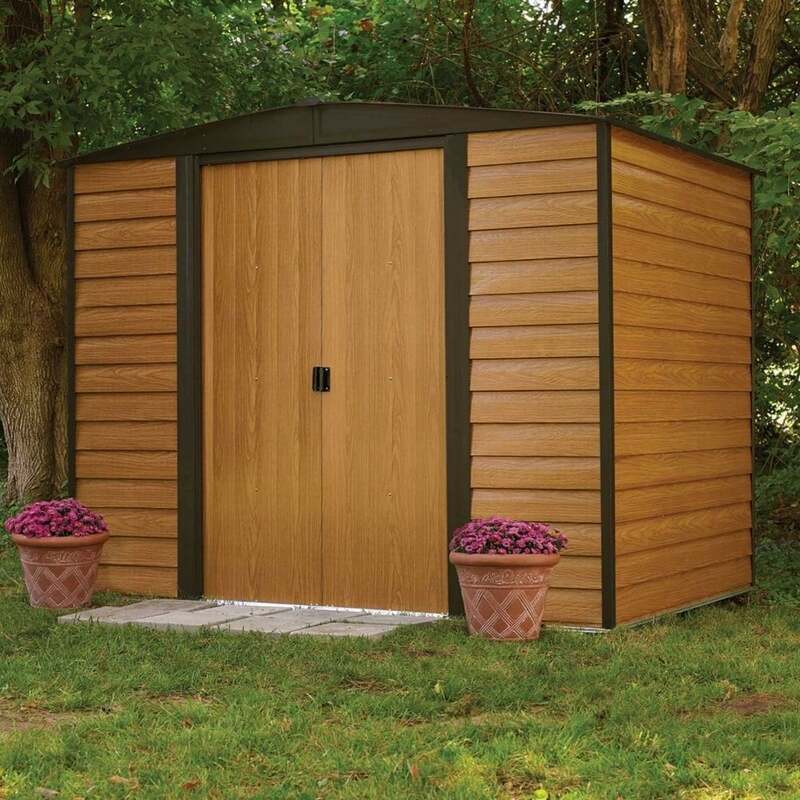 Rowlinson Woodvale Metal Apex Shed 8 x 6: The Woodvale Metal Shed by Rowlinson is a great outdoor building the perfect solution for storing all your garden tools and outdoor equipment in one place. The Rowlinson 8 x 6 Shed comes in a pre-painted coffee colour for a low maintenance design and is constructed from modern and lightweight materials with an attractive wood grain effect. The Woodvale Shed features a traditional apex roof and sliding double doors for easy access and a lockable design to protect your belongings (padlock not included).